When your retail center is looking for parking lot paving services, it’s best to trust the process to a proven, seasoned paving contractor. 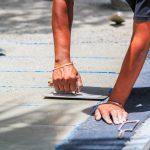 The Limitless Paving & Concrete team has been serving Baltimore, Carrol, Frederick, and Montgomery Counties, among others in Maryland, for years, and has established itself as the area’s top choice for both residential and commercial paving projects. We can’t wait to discuss your needs. Give us a call or fill out our contact form to discuss your company’s retail center parking lot needs. Our experts will discuss your project, provide estimates, and answer any questions you might have. We handle projects of all sizes and scopes, and we’re excited to help with yours. Contact Limitless Paving & Concrete today by clicking the button below. Regardless of where they are in their lifespan, our team is ready to help you make the most of your retail center’s paved surfaces. Whether your project is in its beginning stages or in need of routine maintenance, Limitless Paving & Concrete’s licensed contractors will exceed your expectations. Give our team a call to begin discussing your parking lot project, its scope, your goals, and how we can help your company achieve them. We even offer free, no-obligation quotes. Your company’s parking lot is often a client or customer’s first interaction with your brand. Trust Limitless Paving & Concrete — a proven, tested, and trusted paving partner — with ensuring it looks great, complies with various safety and compliance regulations, and maximizes your investments. Here’s a little more about our services. Asphalt Paving — Each paving project is unique, requiring planning and configuring before installation can occur. Our team will work with you to ensure your retail center’s parking lot is safe, well-maintained, repaired when needed, and adheres to ADA regulations. 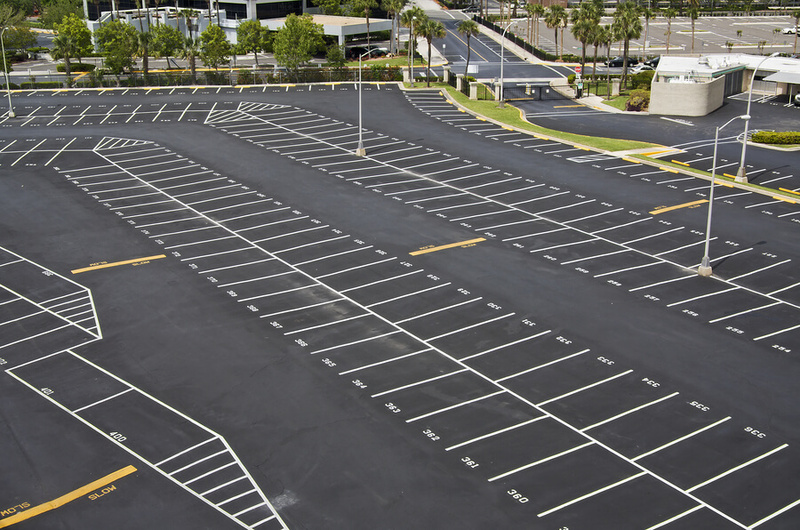 Line Striping — Parking lots require much more than simply painting lines on the pavement. They need careful planning to ensure lines promote efficiency, adequate traffic flow, ADA compliance, safety and well-marked walkways, regulation compliance, and more. Parking Lot Paving — Keeping your retail center’s lot looking like-new goes a long way toward ensuring customers have a great first impression when they come to visit. This involves repairs and remediations for cracks or potholes, efficient striping, proper signage, well-marked walkways, and traffic flow markers, and adherence to accessibility and government regulations. Sealcoating Services — Protective seal coats offer a barrier between the pavements in which your company has invested and the elements, debris, chemicals, and other impacts vying to break them down. Proper sealcoating maximizes your parking lot’s lifespan, and the right paving professional will stay on top of reapplying every few years to ensure you get the most from it. Our team of expert paving professionals is ready and waiting to help your company with all of its retail center parking lot paving needs. Give us a call to discuss your project and get a free, no obligation quote today.